Hey guys, its that time of year again. 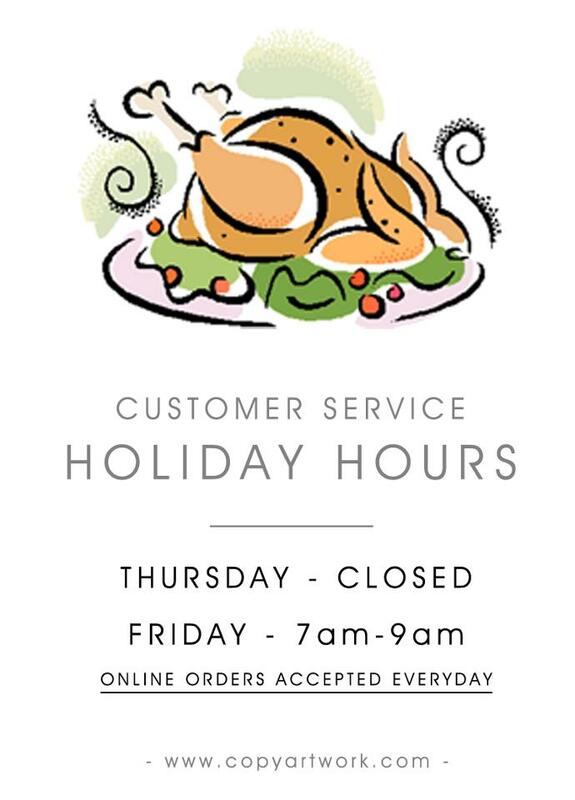 Thursday is Thanksgiving and we will have limited customer service hours at the end of the week. You will still be able to place orders online for the entire week, but our customer service department will be working reduced hours. We will be completely closed on Thursday, and we will only be available Friday from about 7:00 am – 9:00 am (PST). Again, our customer service department will be working reduced hours, but you may continue sending online orders everyday. Thank you all for your understanding. Have a wonderful Thanksgiving and stay safe if you are traveling.